RingDNA uses artificial intelligence to help sales teams improve customer service through "conversation data," and it's gaining some big backers like Kobe Bryant's investment firm and Goldman Sachs. CEO Howard Brown joins BNN Bloomberg to discuss the company's business model. Apr.11 -- Wenfeng Liu, chief technology officer of IQiyi Inc., China’s most popular Netflix-like streaming service controlled by search giant Baidu Inc., talks about the company's strategy and outlook. He speaks on "Bloomberg Daybreak: Australia." 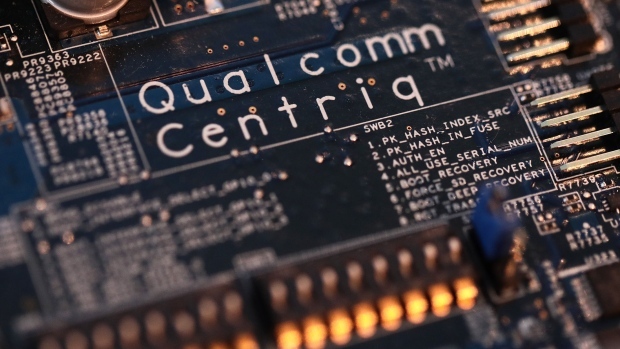 Qualcomm Inc., whose technology dominates in smartphones, said it’s going to offer a new chip for use in data centres that will help accelerate artificial intelligence processing, joining a crowded race to provide the fundamental building blocks of new forms of computing. Legendary tech investor Roger McNamee says "if they [Google] can influence you to the desired result, the value of the ad that they're selling goes way, way, way up. So that has become their business practice." He talks about why he finds that "disturbing" and that unlike Facebook, Google just hasn't got caught yet. Roger McNamee, author of 'Zucked: Waking Up to the Facebook Catastrophe' and managing director at Elevation Partners, says "today, the need is not for a hot new product. Today the need is to protect consumers from surveillance and misuse of their information." He talks about why Apple's business model is more in-line with this ethos compared to other tech giants like Google. Apr.04 -- Mark Newman, senior research analyst at Sanford C. Bernstein, talks about Samsung Electronics Co.'s results and outlook. Samsung reported its worst operating-profit drop in more than four years, buffeted by falling memory-chip prices and slowing smartphone sales. Newman speaks on "Bloomberg Markets: Asia." Will Quebec's Coveo follow Lightspeed to go public? There's been some market chatter on whether Coveo, which provides search-engine tools using artificial intelligence, will follow Lightspeed and go public. BNN Bloomberg's Jon Erlichman and Amber Kanwar discuss the details. BNN Bloomberg's Amanda Lang looks at Canada's abundance of tech talent as two of the country's scientists get awarded the field's highest accolade for their work in artificial intelligence. Geoff Hinton, Yoshua Bengio and Yann Lecun have been awarded the Turing Award, the computing industry's most prestigious honour, for their work on so-called neural networks. 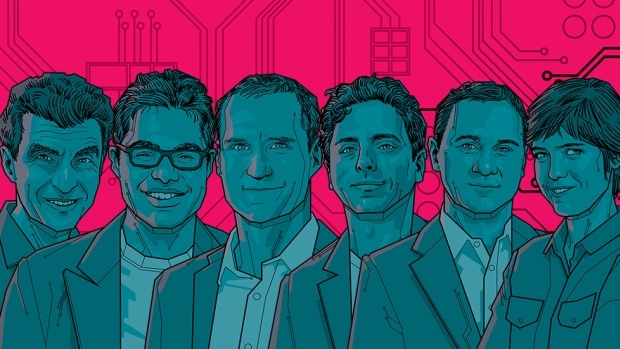 The "Godfathers of Deep Learning" have helped form the basis of the artificial intelligence work being pursued at Silicon Valley's big companies. BNN Bloomberg's Jon Erlichman and Amber Kanwar discuss the AI pioneers' achievements and their Canadian connection.